It is not difficult to divine just why it is that Paris possesses such a hold on people all over the world. Paris is truly one of the world capitals; it is deeply beguiling, an intensely captivating city to explore. Golden Tours' Paris tours from London via Eurostar are extensive and we offer some great value options, so that you may uncover the allure of Paris on your own terms. The Free and Easy day trip includes an open top bus tour, allowing you to become acquainted with the layout of elegant Paris. This tour leaves you to explore Paris as you wish afterwards. A Romantic Paris tour is the ideal option for those who would like to uncover the most entrancing aspects of the capital, and even includes lunch on the Eiffel Tower, as well as entry to the majestic Louvre, for an intensely bewitching London to Paris tour. Alternatively, why not visit both Paris and an enchanting region nearby? On a Gems of Paris tour, you will also be able to visit Giverny, and delve into the home of the artistic prodigy Claude Monet. Or, instead, explore sophisticated Versailles on a Splendour of Paris tour. The choice is entirely yours: simply ensure you make the most of tantalising Paris. This extensive London to Paris tour will not fail to charm you. Encompassing a tranquil one hour cruise on the River Seine, entry to the one and only Louvre museum, and entry to the second floor of that consummate emblem of Paris - the Eiffel Tower - you will certainly be left spellbound. Also enjoy a thrilling panoramic tour of the capital. Is one day truly enough to savour the exquisite beauty of Paris? 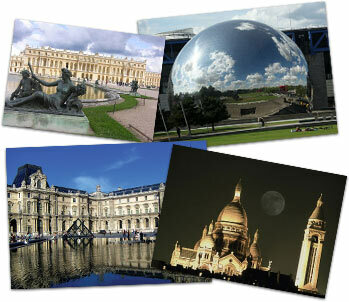 Take a Paris Overnight tour and reap the benefits of this very popular fully escorted tour. Marvel at the striking landmarks of the capital on both a cruise and bus tour, and delve into the artistic treasures on display at the Louvre. Spend your second day exploring Paris entirely as you wish to. 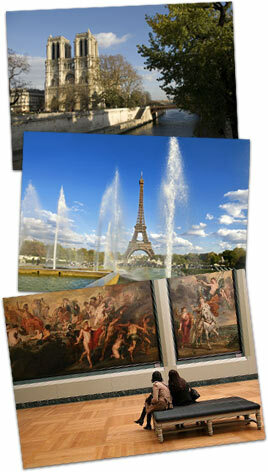 The ideal option for those who wish to explore Paris unfettered by a specific schedule or guide. 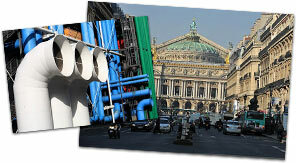 Discover the most entrancing aspects of Paris on your own with a free map provided for you. Leave with enduring memories of this grand, elegant capital. Also included in this tour is a free river cruise, providing breathtaking viewpoints over the most extraordinary landmarks in Paris. Some contend that Paris is the most romantic city in the world. Decide for yourself when you take this spectacular tour of the capital, comprising of entry to the renowned Louvre, a sumptuous meal on the Eiffel Tower, a sweeping bus tour, and free time to explore Paris at your leisure. Uncover its enchanting, beguiling allure and be charmed by this unforgettable destination. The cultural and artistic treasures of Paris are exquisite and merit in-depth exploration. The architectural charms of the capital are, it goes without saying, distinctively Parisian and, in many cases, spectacular. The Eiffel Tower stands as the symbol of Paris. 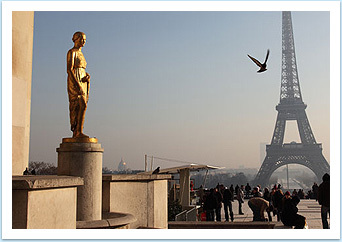 Have lunch on the Eiffel Tower, included in some of our more comprehensive package London to Paris tours. Aside from this, Paris teems with architectural marvels, including the celebrated Notre Dame Cathedral and grandiose Arc de Triomphe. The Louvre is one of the most astounding museums in Paris and is, unquestionably, one of the major attractions to explore. Although there are a whole host of captivating museums in the capital, a visit to the Louvre should be first on any visitor's list. Become enthralled by the incredible range of extraordinary art this labyrinthine museum holds. It is, after all, home to the largest collection of pre-twentieth century art on the globe. Try a panoramic hop on hop off tour of Paris and become amply acquainted with the capital's most remarkable attractions on your Overnight Tour to Paris from London. For the disorientated first-time visitor, feeling somewhat overwhelmed by the extensive range of sights on show, a hop on hop off tour is the superlative choice. 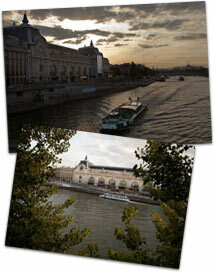 Take a cruise on the charming waters of the River Seine. Become inveigled by captivating panoramic views over the most entrancing landmarks of the capital. Try to steer clear of the obvious when you visit Paris: explore some of its more singular and distinctive attractions and landmarks. A visit to St Germain des Pres Church is certainly worthwhile: it is an indisputably striking church. The oldest church in Paris, it has, since 1819, been home to the remains of none other than the philosophical genius Descartes. The neo-Byzantine Alexander Nevsky Cathedral also merits exploration. The Pompidou Centre is an exceptional museum to visit if your interests lie firmly with contemporary art, and comprises of works by such masters as Matisse and Modigliani. Or, instead, you may wish to explore the Musee d'Orsay, which holds an extensive collection of impressionist, as well as post-impressionist art, ranging from Degas to Monet. The Cite Des Sciences Et De L'Industrie is also a fascinating museum with a decidedly different ambience – it is dedicated to the practices of science and technology. The Moulin Rouge, of course, possesses profoundly tremendous repute. An evening cabaret show is a particularly outstanding, judicious choice for the visitor. As you savour some palatable champagne, have your breath taken away by the overpowering colours and sounds of the “Féerie”. The Pere Lachaise Cemetery is one of the most illustrious cemeteries on the globe. Here you can find the graves of a diverse range of very famous people including Edith Piaf, Jim Morrison, and the master of wit, Oscar Wilde. Finally, you cannot visit Paris without delving into its pulsating music scene. The Palais Garnier is the one key venue for music, with astounding acoustics, a lavish interior and a ceiling painted by none other than Marc Chagall. When dusk falls, Paris becomes imbued with enchanting splendour. Arguably, there is no finer way to spend the evening than at one of its many exquisite cabarets. Of course, the most extraordinary, well-known of all cabarets is none other than the inimitable Moulin Rouge. Become bewitched by the extraordinary Moulin Rouge. Marvel at the extravagant display of 1000 striking costumes consisting of feathers, rhinestones and sequins at the spellbinding "Féerie" show. Immerse yourself in the charm of iridescent sets and astonishing choreography. Such a flamboyant, exquisite evening will leave you with memories that last a lifetime. Or perhaps choose a Le Lido show, and your senses will be equally besieged. Become enamoured by the tale of a girl searching for happiness, as four grand, majestic sets open up before you. Take advantage of some of our extraordinary Tour From London to Paris deals, offering you exceptional savings and freeing you to explore this illustrious capital in accordance with your own wishes.